Hi, So this is a quick post its just after 00:00 and it is now Friday the 13th of 2012. 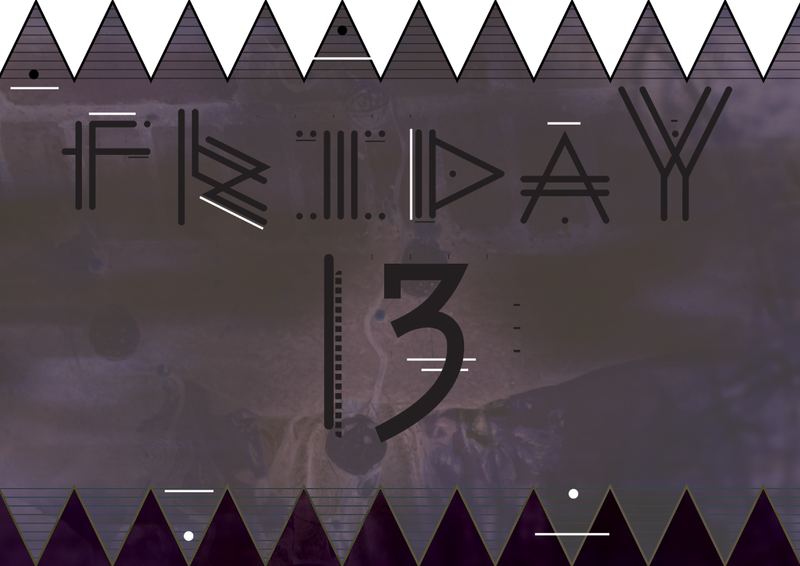 Did you know that Fear of the number 13 is known as triskaidekaphobia, while fear of Friday the 13th is known as paraskavedekatriaphobia? Ha I had to google it when someone mentioned it couldn’t believe it at first! Do you have any stories that happened to you on one of these ‘unlucky’ Fridays? Do you believe in this Myth? Here is a poster that I created for today, feel free to share it on Facebook , twitter for all those remembering Friday the 13. I don’t quite believe this myth, or superstitious belief. I think most of the time its just coincidence, but you never know. Have a great Black Friday Everyone! + Thanks for checking my blog!